Sheffield exemplifies the worst-case scenario when private companies are contracted to finance and deliver public goods, and a noteworthy example of creative and resilient community activism. Often described as Europe’s greenest city, Sheffield is reputed to have more trees per capita than any other, with over 100,000 trees spread across parks and open spaces, 10.4 percent woodland by area, and approximately 36,000 street trees. 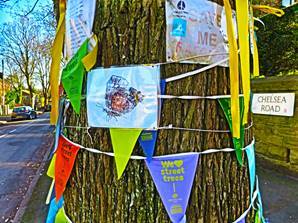 However, a public-private partnership (P3) is dramatically altering Sheffield’s urban forest. The various particulars of the situation have brought the northern English city into the national headlines, drawing scathing criticism from the environment secretary, a former Council leader, music celebrities, and political analysts, not to mention landscape professionals, urban ecologists, the University of Sheffield, and the Woodland Trust. 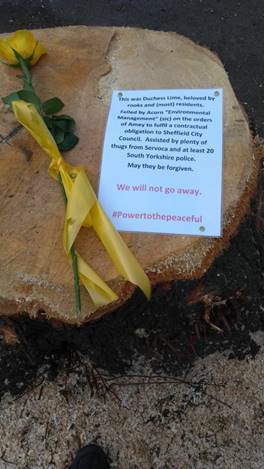 The Sheffield “tree massacre” is the result of a private finance initiative (PFI), a form of public-private partnership that should theoretically improve efficiency on public spending. When Sheffield City Council signed a 25-year PFI contract with a multi-national infrastructure support service provider to upgrade the city’s streets, the effect on the city’s leafy avenues could not have been anticipated. There were some clues, however. Most notably, the contract was negotiated behind closed doors, without any discussion in Council Chambers. The only version released for public examination was a heavily redacted document, with sections blacked out on account of “commercial confidentiality”. Effectively, taxpayers are required to pay for work about which they are legally not allowed to know. The situation was confusing from the start and has escalated into six years of conflict, in some cases posing grave questions about the democratic state. Signed in 2012, the brief of the £2.2 billion Streets Ahead PFI with Amey Plc is to upgrade the city’s roads, pavements, streetlights, bridges, and other infrastructure. Although it is a highways contract (i.e., not a tree contract), thousands of mature street trees are being replaced with 8- to 10-year-old saplings. Trees are technically removed if they are one of six “Ds”: dangerous, dying, diseased, dead, damaging, or discriminatory. The two most frequently used of the 6Ds are “damaging”, in which the tree damages footpaths or curbs, and “discriminatory”, meaning trees that are perceived to create difficulty for elderly, disabled, and partially sighted. The Council affirmed that felling is a “last resort”, and the contract includes a variety of common, low-cost methods for repairing pavements. One Councillor has stated that flexipave was ‘already used’ in 143 occasions’, but an investigation in 2016 by the Information Commissioner found that none of these alternatives had been used in the first five years of the contract, even though they are paid for. When residents noticed that healthy and mature trees were slated for removal, people began to protest. Knowing it is a 25-year contract, campaigners feel that Amey is trying to avoid the costs of pruning and maintenance over the long term. Conflict flared in November 2016, when contractors arrived at Rustlings Road at 5 am to cut down trees that residents had demanded should remain. Three people were arrested, in their pyjamas, for standing beneath the trees they wished to defend. Two of of those arrested were retired school teachers. Since then, at least 20 people have been arrested under a Thatcher-era anti-union law. The situation was in full swing at the time of this writing, with breaking news emerging the day of deadline, so this essay was basically an archive from the moment it was published. For current news, check out Sheffield Trees Action Group (STAG), the non-party-political umbrella group representing the local tree groups that emerged across the city. While there are juicy bits, such as the 100-year old listed memorial trees, the bizarre allegations of “tea gate” or the embarrassment of #tootgate and other arrests made over musical instruments, this essay focuses on the PFI and how it relates to urban and human ecology. An independent survey in 2006-2007 suggested that 1,000 trees needed replacing, and approximately 10,000 needed “some form of remedial treatment”. A second survey was conducted in 2012 by Acorn, the arboreal firm that would later be sub-contracted to carry out the replacement work. That survey (which has since been removed from the Council website) stated that the majority of street trees would require replacement after 70-80 years. In 2012, City Council reported the intention “to replace about 18,000 of 36,000 trees over a 25 year period” (7.4, point m). The possibility of a target for tree replacements was a mystery from the start, both to the public and to many members of City Council. 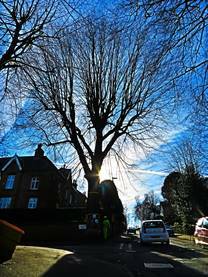 To address public discontent, in 2016 the Council conducted a household survey to determine the degree of support for the tree replacements on affected streets. Of the 13.4 percent response rate, 6.75 percent agreed, and 6.65 percent disagreed with the replacement program. It was odd, then, that a Councillor would state in 2017 that “the majority of people in the city want to see this work carried out”. As an outcome of the survey, an Independent Tree Panel was formed, comprising impartial experts that would liaise with stakeholders and with Council in situations where 50 percent or more households opposed the work. However, trees were removed before being referred to the Panel on at least three streets, and in some cases before residents had had their say. By Feb 2018, about 5,500 street trees had been removed. To make matters worse, a horticultural critique has noted that most of the saplings will die young and will not reach the maturity of the trees they’ve replaced. On March 12, 2018, the politics of the situation became slightly clearer. Whereas the Council had consistently denied that there was a target for tree removal, it was finally ordered to reveal the redacted passages of the contract under the Freedom of Information Act. According to the document, “not less than 200 per year so that 17,500 highway trees are replaced by the end of the term”, meaning that about half of all Sheffield’s street trees would be replaced. 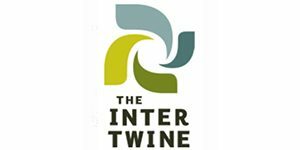 Even with this new transparency, the Council cabinet member for the environment has responded by saying that “any suggestion that 17,500 trees is a target or a requirement is an incorrect interpretation.” If confusion is a strategy, then the prize goes to Sheffield City Council under the influence of this PFI. 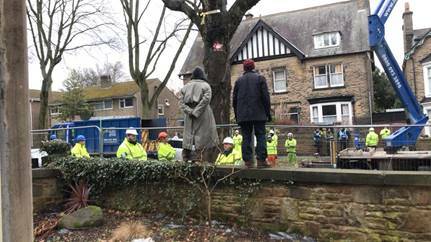 One of Sheffield’s oldest trees slated for the chop included the Chelsea Road Elm, a veteran tree between 100-120 years old. Not only is the Chelsea Elm a gem for its genetic resistance to Dutch elm disease, but it also harbours a colony of the White-letter Hairstreak, a priority butterfly species in the UK Biodiversity Action Plan. With these concerns, local residents apparently commissioned an engineer to provide an estimate for addressing the cracked paving and discovered it could be done without felling the tree, at minimal cost. When I visited the Chelsea Elm in early February 2018, the tree was decked out in masses of devotional content, including poetry, drawings, sing-alongs, and love letters alongside bunting and knitting. Examining its winter silhouette from all angles, crown die-back and dead branches were not evident, certainly not to the extent of “extensive decay”. With regards to the paving around the base of the tree, the roots have indeed caused some uplift (see above). Recalling the alternative solutions that are covered in the contract, and with respect to the stature and significance of the tree, this should be a textbook example calling for a tree pit or at the very least, permeable paving. By extension, the situation as it stands raises the question about the materials used for sidewalk paving, maintenance in general, and also the logic for absolutely straight curb lines (with no deviation!). 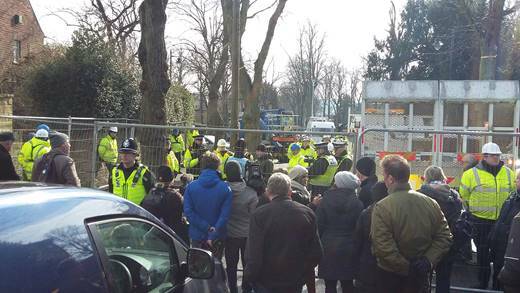 Fortunately, the felling at Chelsea Road was prevented thanks to over forty dedicated supporters who stood vigilant by the tree for hours in the freezing cold. In mid-February, after a series of meetings between City Council, Amey, and Sheffield and Rotherham Wildlife Trusts, it was agreed that the tree would be pruned with sensitivity both to the butterfly colony (i.e., the eggs laid on the tree the previous summer) and for the tree (which could still be at risk of infection by Dutch Elm Disease, since resistance is not the same as immunity). A sensitive pruning was conducted that left enough growth for the butterflies to remain in situ. Were it not for the peaceful tree defenders, this tree and the butterfly would likely both have been destroyed. New forms of urban (wild-)life: injunction and evolutionary radiation? The legal pressures of the conflict mounted in August 2017, when the Council gained a High Court injunction against those “trespassing within safety barriers”. The injunction for trespassers includes contempt of court, imprisonment, fines, and/or having assets seized. In early 2018, security measures ramped up significantly, with “specially-trained stewards” contracted to remove trespassers with the authorisation of using “reasonable force”. 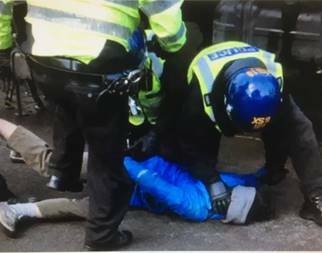 Witnesses have provided evidence of assault, even on elderly peaceful protestors, and a worrying lack of health and safety on all operations. 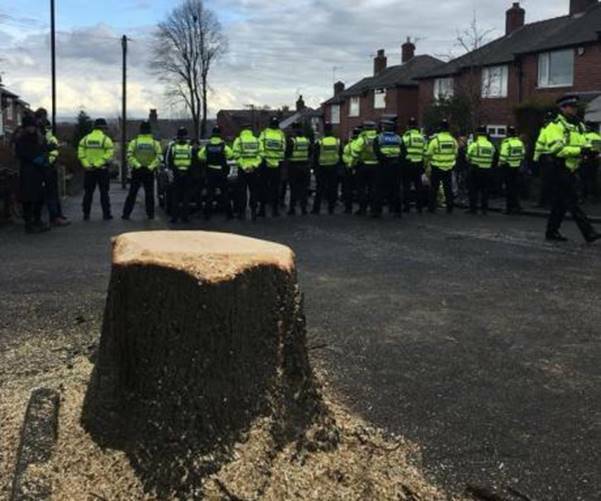 The escalating police presence, and its questionable neutrality led to an expression of concern by a former council leader, noting that the removal of one tree in early March involved 33 officers and 20 security staff. Despite substantial legal costs, the injunction has largely failed to deter protests and has led instead to creative responses by an increasingly committed community of campaigners and citizens. To continue defending trees in this criminalised environment, citizen responses have adapted depending on how much risk they are willing, and able, to take. These new strategies take their names from the animals they imitate. Gecko: clings to walls near threatened trees, but outside of the completed safety zone and therefore not in breach of the injunction. Squirrel: climbs trees. To date, no one knows if being up a tree before a safety zone has been erected is in breach of the injunction; this has yet to be tested in court. Bunny: hops over fences defining a safety zone. Once the safety zone is complete, this is in breach of the injunction, so a bunny may be guilty of contempt of court. Gnome: sits in a garden (either their own or with the owner’s permission) under any hanging branches from a threatened tree. This is not in breach of the injunction. There are also Owls that conduct night patrols, and there has recently been talk about Hedgehogs, though this manifestation has yet to fully emerge. The situation in Sheffield is just one manifestation of how wrong public-private partnerships can go. An investigation of 36 strategic P3s in England that were signed between 2000 and 2007 found that more than a third of these (13) had “since gone back in-house”. In 36 percent of those cases, councils found that it was more economical to manage their own needs rather than outsourcing to commercial companies. There are a few examples of council’s terminating these agreements ahead of contract end, as in Liverpool, Peterborough, and Cumbria County Council. The proof is in the pudding: local authorities can best serve their constituencies by investing in and managing public services in-house. It seems like Sheffield City Council has lost the plot, and taxpayer money has been mismanaged, but it’s not too late to fix this. 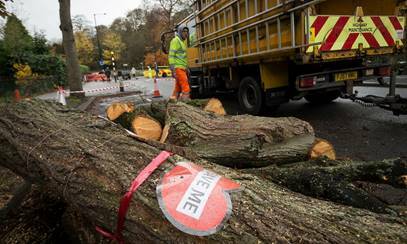 The Environment Secretary recently offered that Westminster will do “anything required” to end the tree-felling, including helping to pay contract termination penalties. 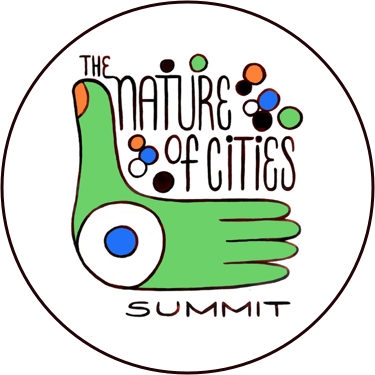 To save the city and its reputation, for a start the Council should end the PFI, refresh the priorities of the South Yorkshire police force, and enlist a collaborative, multidisciplinary team in defining what an Outdoor City looks and feels like. Crucially, the Council must win back the trust of the public. The citizen tree protection movement has been consistently peaceful, united by coherent and informed wishes (for example), and this is an excellent opportunity to give democracy a chance. Council elections are coming up in May, so change is in the air, regardless of what Council decides to do. Lastly, the response by civic engagement seen in Sheffield is an inspiring and bright beacon of hope in the current landscape of corporate bullying. Ordinary people continue to respond and stand up for what they believe in, and this has created a dynamic, supportive and creative community guided by the spirit of place-making. Similar, the degree of organising and communication has led to an agile movement. While many trees have been removed, a great number have been protected. In an interview on BBC Radio 4 (March 16, 2018), former Pulp frontman, Jarvis Cocker, said: “The seventh “D” is daft. It is very daft to get rid of so many trees”. Cocker and other musicians are supporting a fundraising campaign to offset the legal costs of tree defenders. It may be too early to say, but I have a hunch that this community spirit—whether crowdfunding or any of the myriad forms of grassroots social investment that have emerged through this fiasco—is an essential ingredient to loosen the small-text grip of destructive PFI/P3 contracts. Power to the peaceful, and peace to the powerful. Dear Marie, thanks for your note and sorry to hear you are facing tree difficulties, too. Without knowing why the trees are considered dangerous, or what tree maintenance is (and is not) being done, following are some points, which I have discussed with my friend, collaborator and tree expert, Fran Halsall. Firstly, if they are indeed Limes (Tilia), these trees are known to host aphids, the insects that secrete honeydew for a month or so every year. This can be annoying for car-owners, as it is sticky, but car covers are an easy solution for this temporary problem. You could speak with your neighbours about car covers, if that is the case. To your question about pollarding, this method is only successful if done on a regular basis. Otherwise, “lapsed pollarding” can harm or even kill the tree. Such trees can be pruned or have the crown reduced, however, to allow more light through the canopy. With regards to a management plan, it’s possible that this has expired, especially if superceded by another neighbourhood plan. If the Local Authority is responsible, then it will have legal responsibilities to ensure the trees are safe. You can find more on the legislation here https://www.trees.org.uk/Help-Advice/Public/A-brief-guide-to-legislation-for-trees. Poor TV signal, shade and leaf litter are not considered acceptable reasons for tree removal. In our experience, these are the most common reasons cited when an individual approaches the Council to fell, in which case this will be explained to them. From our experience in Sheffield (via Sheffield Trees Action Group), community support the strongest negotiating position. Talk to your neighbours and try and get them on side. Feel free to use/ print any of the leaflets available on the STAG website (https://savesheffieldtrees.org.uk/campaign-leaflets), which cover the pros (and cons) of living with street trees. The best strategy is to acknowledge the problems they cause, and take it from there. On Sheffield streets where leaf-litter has been cited as a major problem, we organised small teams of volunteers to do sweep ups. This had the added benefit of building better community relations. Thanks for sharing that, Andrea: how sad that Rome is experiencing the same! I do wonder whether this “economic attitude” of trees being too expensive to maintain is a side effect of their commodification into “ecosystem services”. While it may be useful jargon in some ways, this notion that a tree has a certain and specific value simply reveals the severe limits of ecological understanding by its proponents, much less any possibility to comprehend inter-connectivity, complexity, or the commons. Hi, Can anyone give me a clue where to start with my District Council (Warwick), perhaps its County Council, perhaps it our Town Council? I have an issue with trees on my street not being maintained (I havent witnessed physical activity, who knows on paper what the council will claim it has done) and causing a problem to the safety of the street residents. The street and surrounding area are primarily privately bought terraced houses and are about 100/120 years old. Ive lived on this street for 50 years. Many of the neighbours have lived on the street their whole lives and sadly passed away and there are plenty of younger neighbours moving in. Often they are short sighted busy people and can not see the point of the trees; they just make a mess of the cars and cause a problem. I feel that years of neglect is contributing to many neighbours wanting the trees cut down. I personally feel that if they were maintained properly there wouldn’t be a problem except the obvious cost of the maintenance to the council. I think they are Lime trees…..
I’ve written to the council and complained about the lack of maintenance, (Polarding is it called?) but have been told that there is not an ongoing maintenance plan for the trees in place. I found out who is responsable but they have been very vague. Wouldn’t there be a record somewhere of a long term fixed plan for the life of these trees? Wouldn’t all new policies be irrelavent in law? Any light you could shed my way to avoid a massacre of trees like the Sheffield area would certainly be appreciated. Thank you for this Christine. As a confirmed socialist I struggle to understand what is going on in the minds of Sheffield council . The city is not giving an appropriate regular maintenance to the trees and after a most relevant snow event some long tree’s branches broke and fell to the ground. That event was used as excuse for cutting a relevant numbers of trees at the base in all the city area. In my opinion this is the way they use for saving money. Less trees, less annual maintenance cost. Thanks, Deepa, apologies that I didn’t mention SORT explicitly. Many thanks for all you have and continue to do! Ellie, thank you for your expression of distress and support. It seems that citizens on the ground will save the day; government will not. For those who can dedicate some of their lives to the cause, there are myriad little ways of getting involved. For those living elsewhere but feeling solidarity, a particularly poignant form of support would be helping offset the legal expenses endured by some of the tree defenders. The last paragraph of the essay provides two links to the crowdfunding campaign (“Defend the Tree Defenders”), with a description of the issues these tree defenders face. Thank you! Brian, thanks very much for sharing this here. May these collective efforts strengthen the agency of citizens and re-vitalise democracy for the benefit of all! 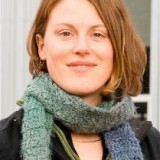 We support the efforts of all informed residents of Sheffield, to expose and remove the damaging tribe of Councillors who take direction from Julie Dore and her Cabinet members. This organisation, which occupies our Council and overrules the wishes and wellbeing of half a million Sheffielders is responsible for the marginalising, smearing and persecution of protest groups operating under the STAG banner. We have launched a network of Facebook pages and forums to help strengthen communities across all 28 voting wards of Sheffield – this will be the end of ‘rule by the few’ politics in Sheffield. #dontvotelabour on May 3rd. It is that simple. How can we help to put an end to this Tree massacre!? I’d like to know how to practically be of support! Thank you Christine, an excellent account of what has been happening and still is in our city. Excellent account of what has and still is still going on in our city. Great work Christine! Just a point of historical accuracy. The Bimonthly Highway Trees Advisory Forum and the subsequent Resident Surveys and Independent Tree Panel were set up as a result of concerted campaigning by the SORT (Save Our Roadside Trees) campaign in 2015. 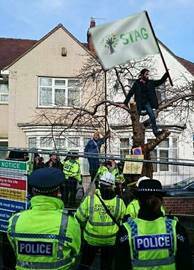 We were the first Sheffield Tree Action Group and were stand alone for many months, before STAG became an umbrella for other emerging groups across the city. We pressed Cllr Fox for appropriate community consultation and involvement in the decision making process, having had 2 weeks notice to fell 11 healthy trees on Rustlings Road in April 2015.